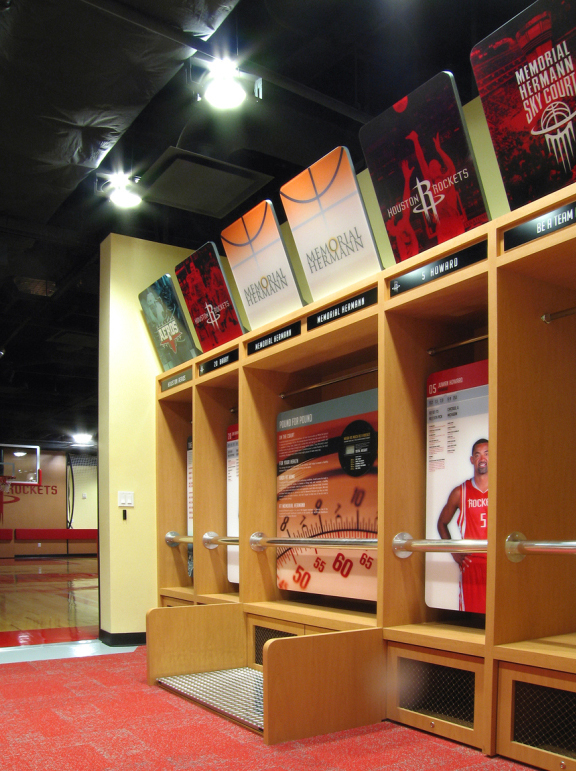 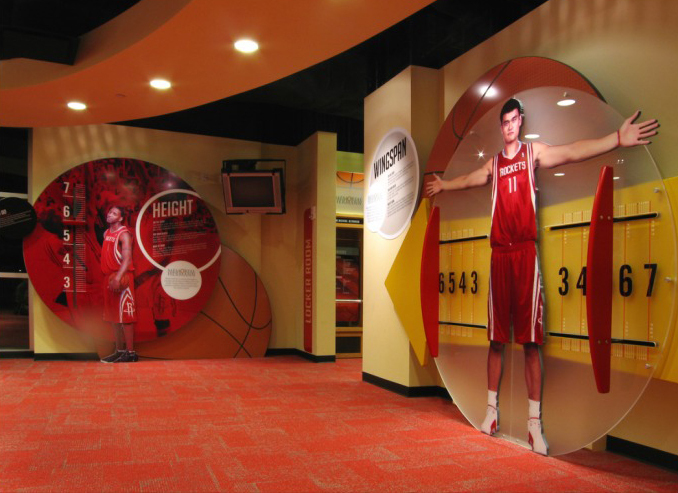 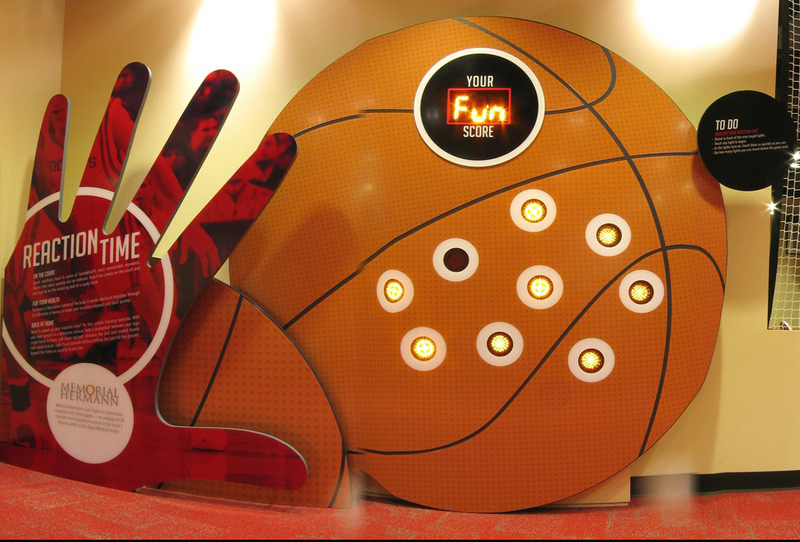 Explus working with the Houston Rockets and Hawse Design provided fabrication and installation of the new “interactive play area” located in the Toyota Center. 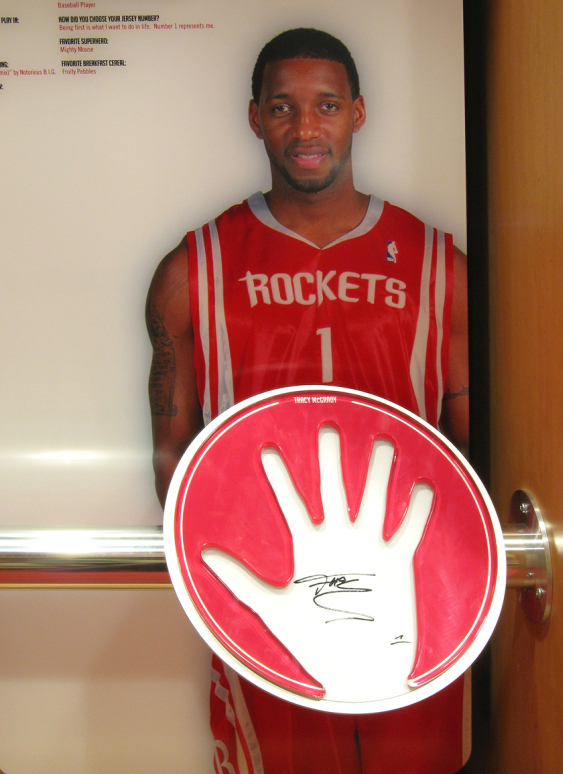 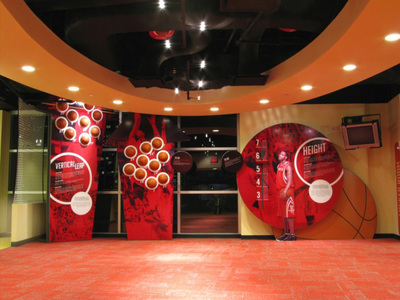 Children of all ages can interact with exhibits that include a “Wingspan” display that compares your own to that of Yao Ming, “Height” comparisons to Tracy McGrady, “Vertical Leap” which utilizes basketballs embedded in the panels with the height and name of the players, “Weight” and even a stylized locker room section created with cut out hand prints of the star players. 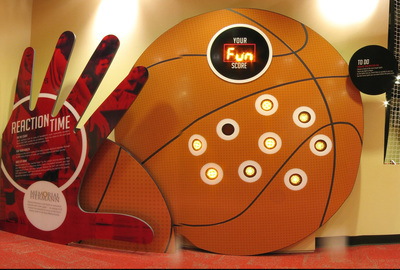 All interactives were developed and fabricated by Explus using high grade bearings and pulley systems to withstand heavy usage by small children.